Houston qualified for the CONCACAF Champions League. 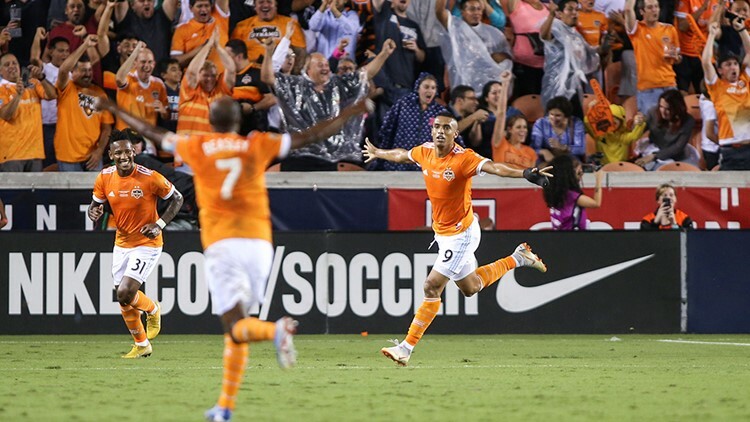 HOUSTON — Mauro Manotas scored twice in the first half to lead the Houston Dynamo to the U.S. Open Cup title, 3-0 over the Philadelphia Union on Wednesday night. Monotas scored on a header in the fourth minute, and the Colombian striker connected again in the 25th. The third score came on Auston Trusty's own goal in the 65th.